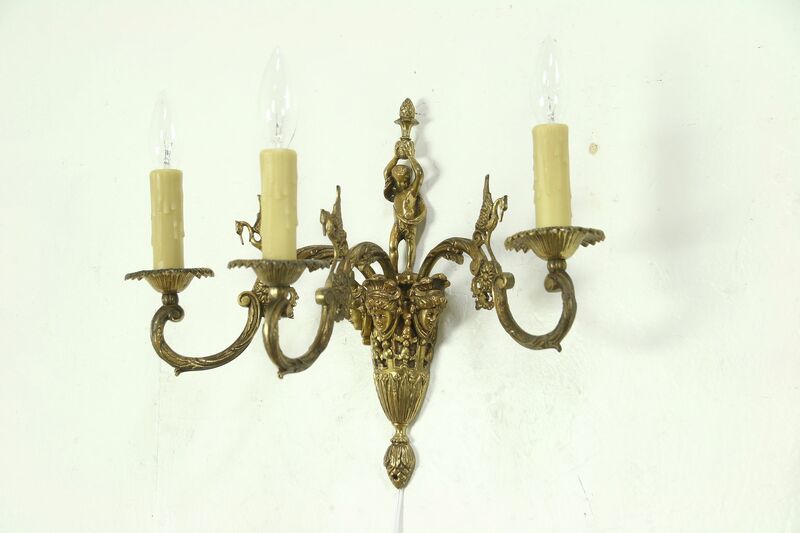 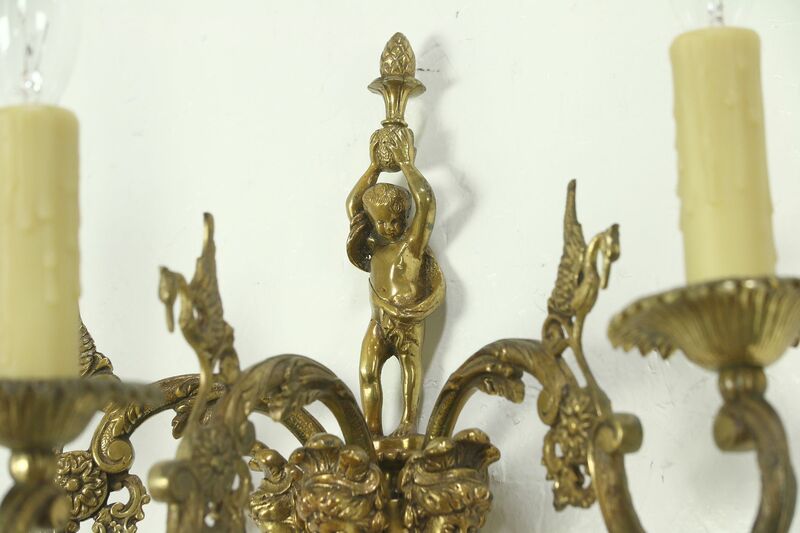 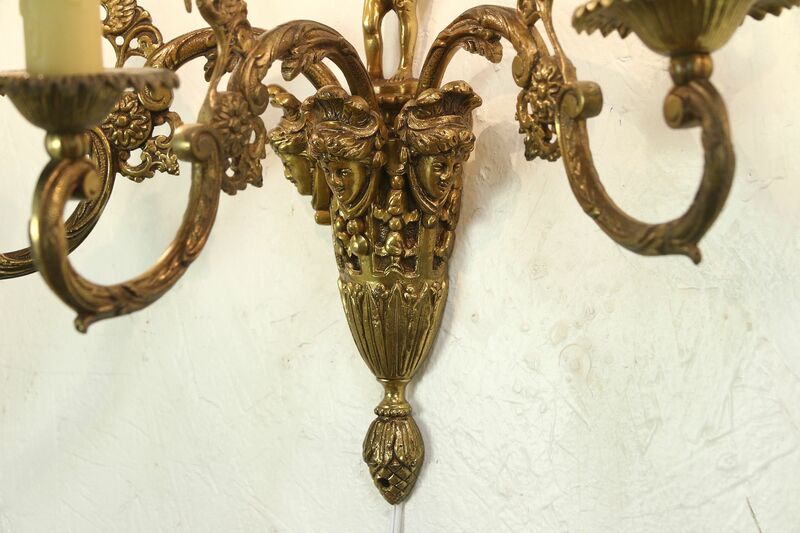 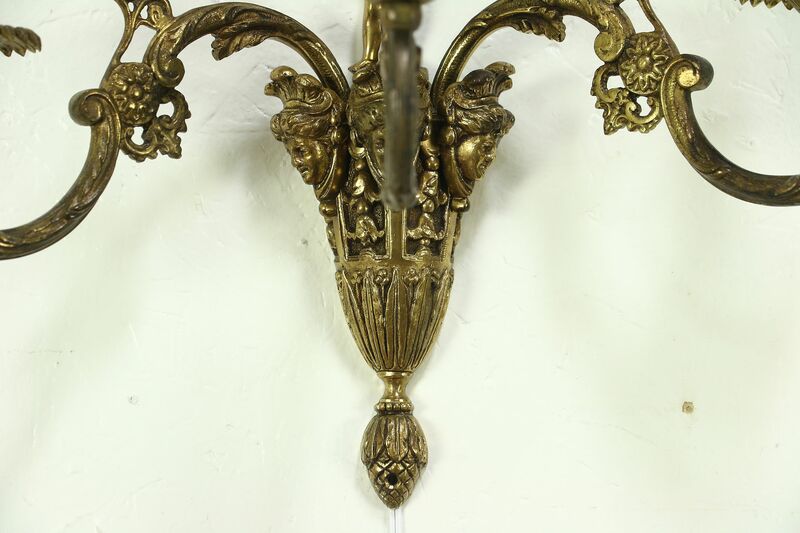 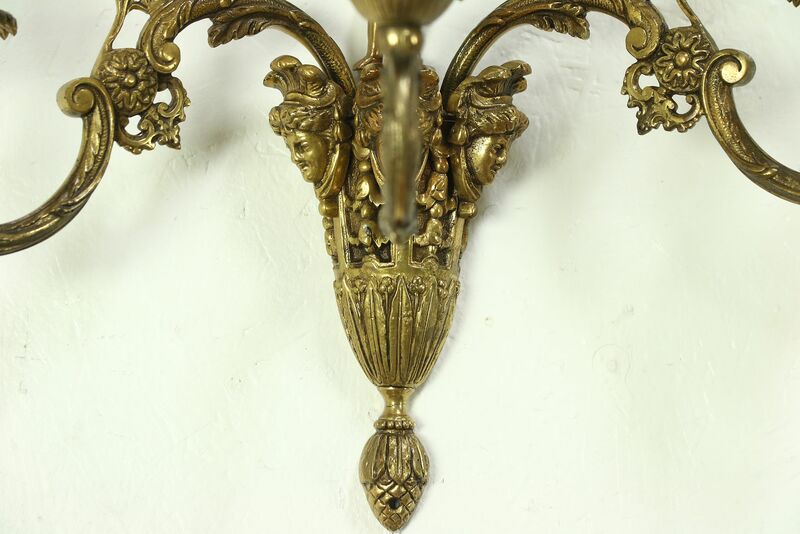 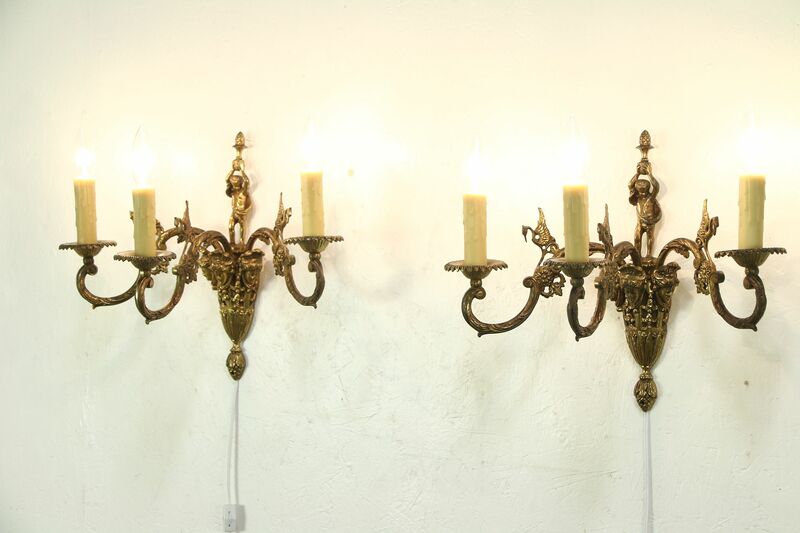 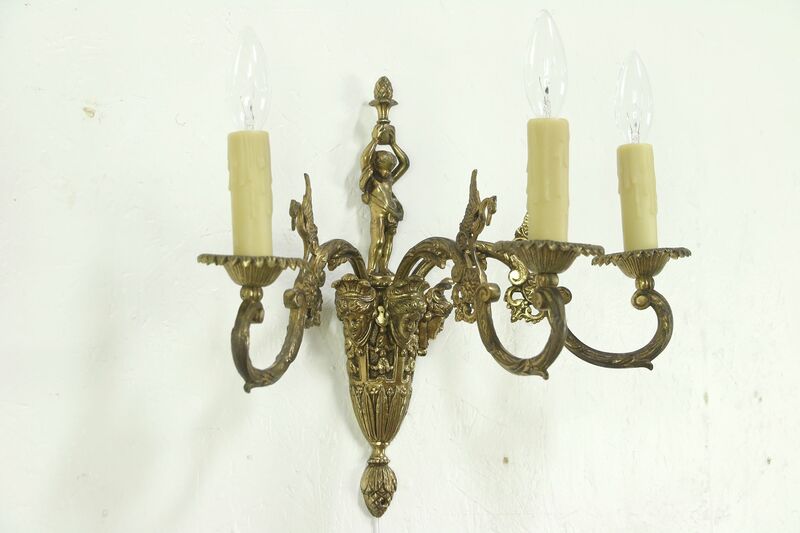 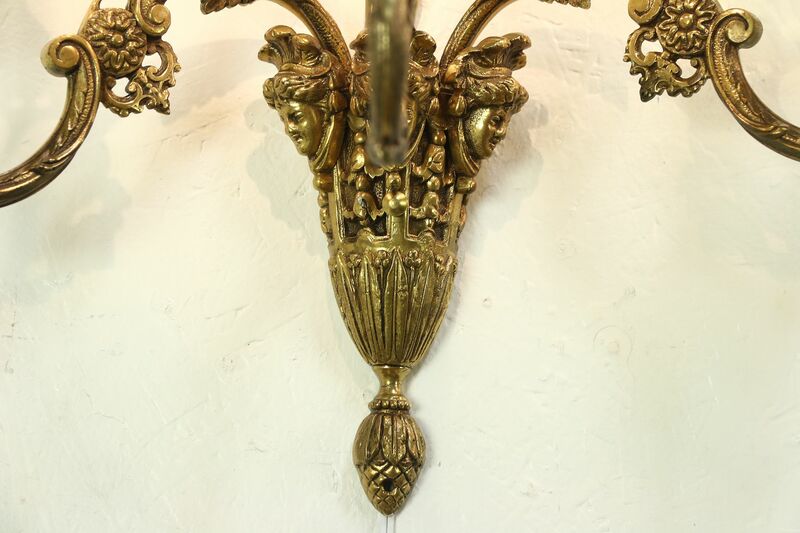 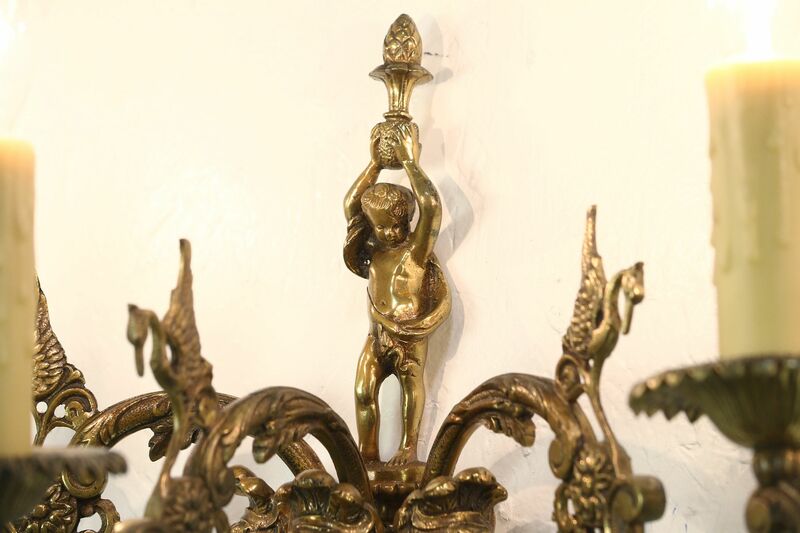 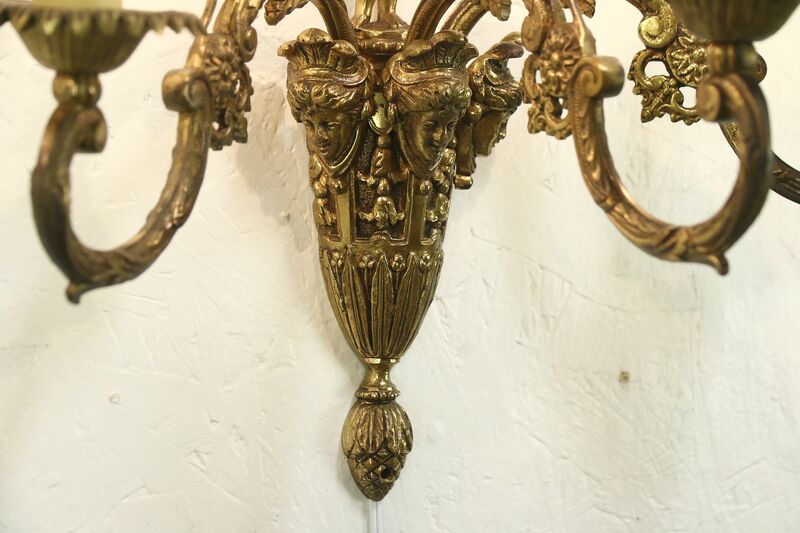 A palatial pair of triple wall sconces were cast in solid brass with rich gold plating about 50 years ago, signed "Made in Spain." 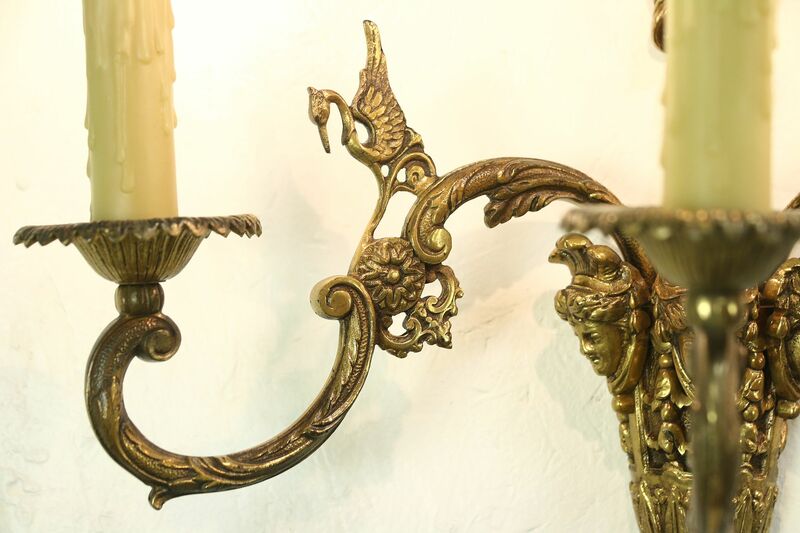 Figures, faces, birds and pineapples are deeply embossed on this vintage pair. 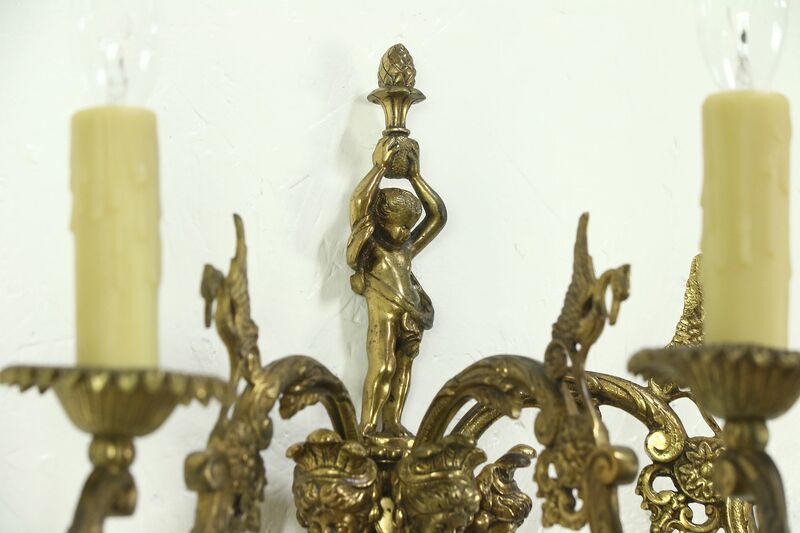 Candle covers are beeswax. 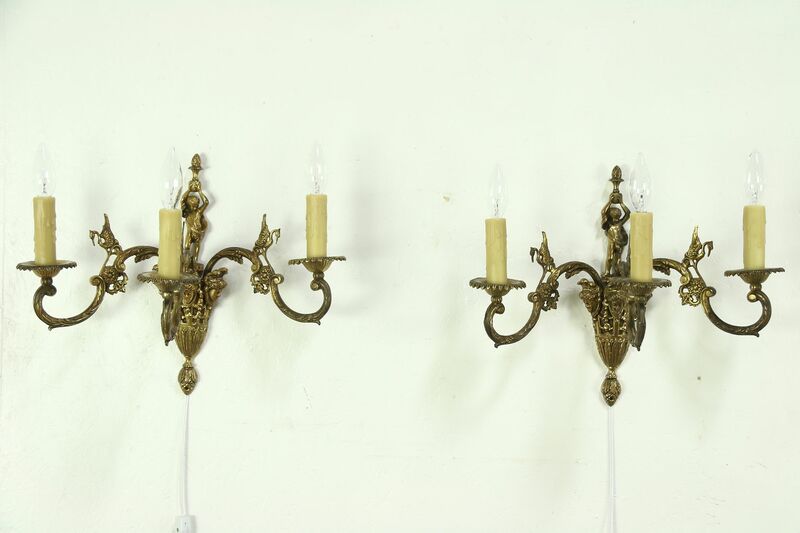 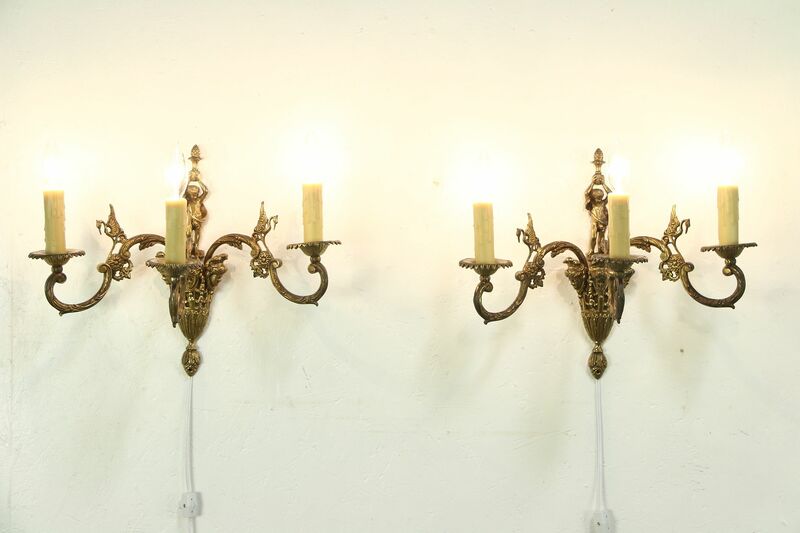 This pair has standard candelabra base sockets that have been rewired with cords and switches, or they can be mounted on wall electric boxes. 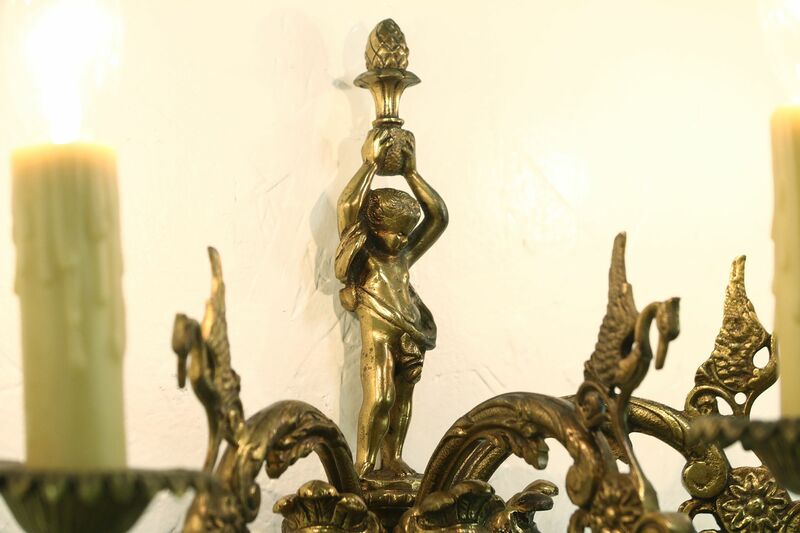 Measurements are 16" wide, 10" deep and 13" tall.